The professional sound and theatrical dramatism of their music caught the attention from the first moment, it is not surprising that Mike Portnoy had selected them to open a Dream Theater show at Luna Park years ago, or that Absence, their first album had received countless compliments from the local and international press. 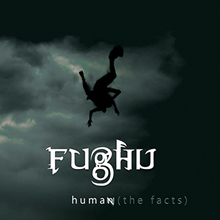 Rather than engaging in puffery useless Fughu has worked to create a strange and unique sound universe consists of dark and theatrical atmospheres and various musical pieces also inspired by the psychedelic progressive rock / the seventies by the neo- prog eighties and contemporary progressive metal. They share the first part of the title. They share a style: mature, bristling with interesting ideas, sometimes hooking the experimental, sometimes rousing his flair. Innovative and demolishing genre stereotypes.